Gordon Ramsay is well-known for his no-nonsense attitude in the kitchen. He has a reputation for a quick temper that he readily unleashes on his many shows, like 24 Hours to Hell and Back, in which he helps restaurants on the brink of closure clean up their act. Most people consider him one of the toughest chefs on television today 鈥� but there鈥檚 actually a much softer side to Ramsay that comes out when he鈥檚 around kids. So when his own children (he has four: Matilda, Holly, Jack, and Megan) took over kitchen duties in honor of their dad鈥檚 50th birthday, he had the sweetest possible reaction. 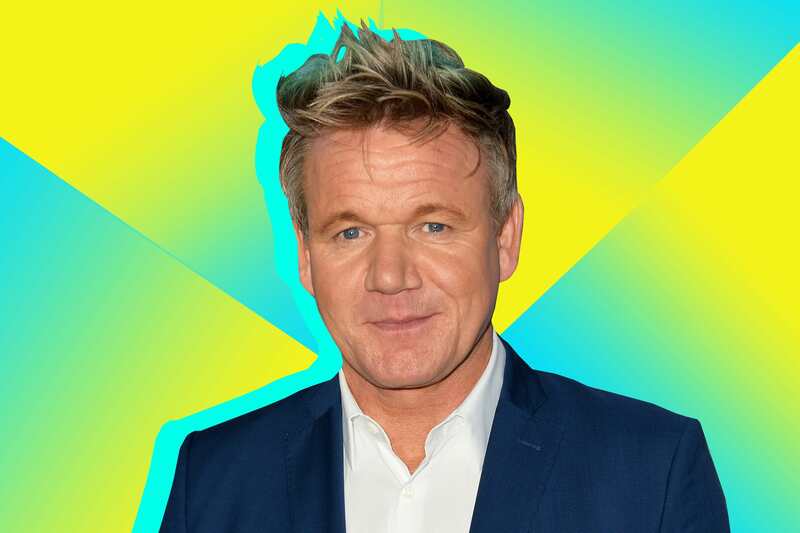 Anyone who has watched his supportive, encouraging turn as the host of MasterChef Junior knows that Ramsay can actually be surprisingly kind 鈥� and funny. He once let the kids dump corn dog batter all over his head. Ramsay also frequently cooks with his daughter Matilda, who has her own cooking show, and the pair make a fine duo (he refrains from scolding her, mostly). It was Matilda and her brother Jack who took the lead on the family dinner, which Ramsay shared with his wife, Tana. The kids took over a restaurant, invited Ramsay鈥檚 parents, and prepared all the food themselves. For the first course, they whipped up ravioli, which the elder Ramsay praised as 鈥渂eautiful.鈥� For the main course, the kids made their 鈥渂rilliant beef.鈥� Ramsay didn鈥檛 hold back: He called the filets 鈥渄elicious, seriously.鈥� Then at the dessert, he said 鈥渨ow鈥� five times (yes, they counted). He loved the surprise so much that he told his wife he became so emotional he almost cried. Overall, Ramsay was unabashedly impressed with his birthday meal. So what do you have to do to make Ramsay lavish praise on your cooking? It鈥檚 simple really: Make good food. And it wouldn鈥檛 hurt to be one of his kids.